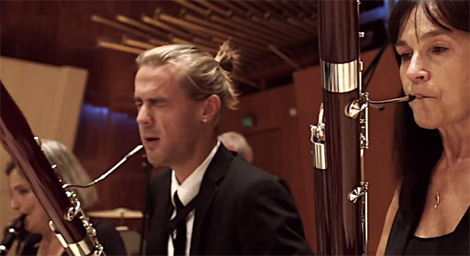 The members of the Danish National Chamber Orchestra are unbelievably good sports. You might remember Claus “Chili Klaus” Pilgaard’s video from this past summer, when he got 1,000 people to simultaneously chomp on searingly spicy ghost peppers. 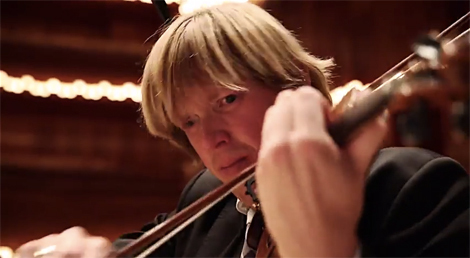 The Danish capsaicin enthusiast has actually staged quite a few of these stunts on YouTube, and the latest involves the Danish National Chamber Orchestra. The video above was posted on Friday. It shows the orchestra playing Jacob Gade’s “Tango Jalousie” after each member eats one of the world’s hottest chili varieties. Huffington Post reports that the musicians were given Carolina Reapers, TSMBs, and ghost peppers before performing for around three minutes. To their credit, they collectively hold it together like total pros. It’s only after the final note fades that the music is replaced by mass coughing, spluttering, and some light moaning. At least pepper aficionado/sadist Pilgaard suffers right along with them at the conductor’s stand.